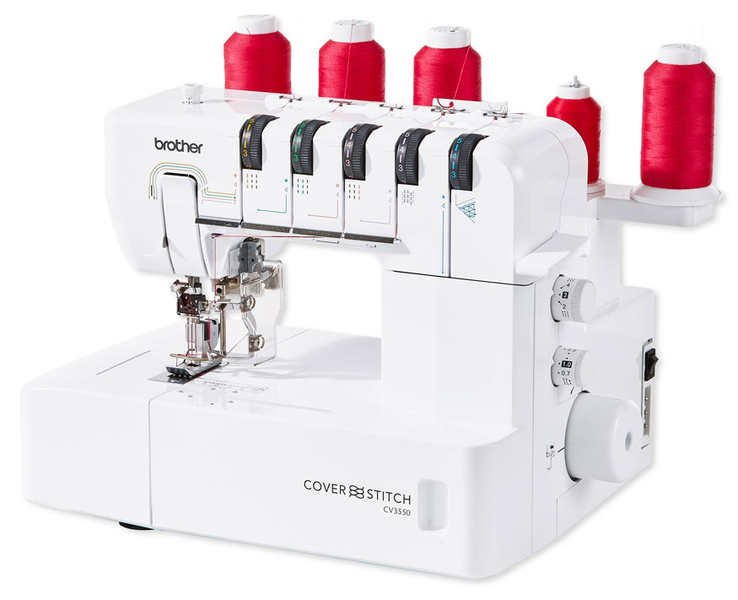 The Brother CV3550 Coverstitch machine with 5, 4, 3 and 2 threads, it enables you to produce a wide range of cover stitches on several types and weights of fabric for both decorative and constructive applications. The cover stitch will appear on the bottom side of the fabric while a top stitch will show on the top side of the fabric as you sew hems and add decorative stitching to your projects. 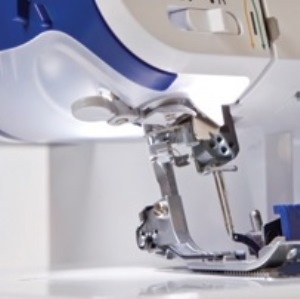 Whether creating durable strapping for sporty garments or utilizing a chain stitch for hems, Brother CV3550 coverstitch machine ensures professionally finished edges. Develop your design portfolio with a wide range of cover stitches on all types and weights of fabric for both decorative and functional applications. The Brother CV3550 is a dedicated cover stitch only machine with 3 needles, four thread wide triple cover stitch. Two needle, three thread wide cover stitch for hemming and topstitching. Two-needle, three-thread narrow cover stitch. The chain stitch used with one/two needles, ideal for roll hems, tape binding and joining woven fabrics. 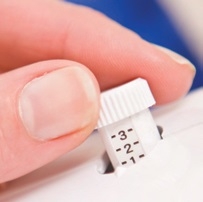 There are also exclusive cover stitches such as the triple top cover stitch which is a 3 needle, 5 thread top cover stitch, the Wide Top cover stitch Two-needle, four-thread top cover stitch. Narrow Top cover stitch which is a 2 needle, 4 thread top cover stitch. 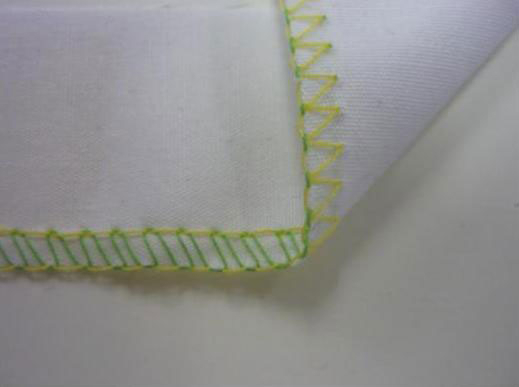 These stitches are perfect for hems, top stitching, flat joining seams and edging with elastic and binding. 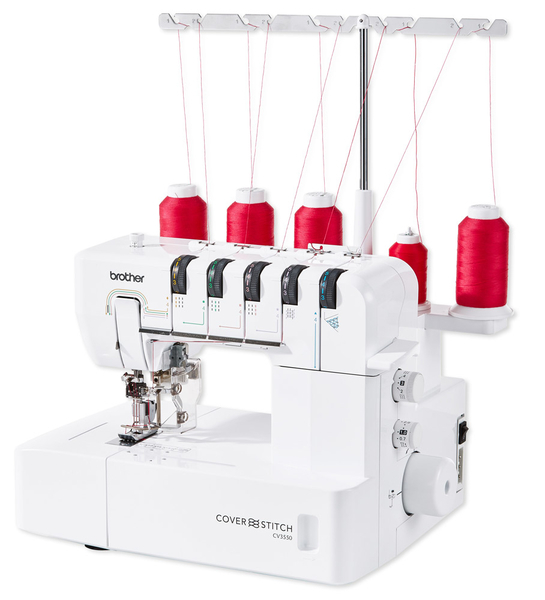 The Brother CV3550 has a large working space area of 15.5cm, plus a free arm facility which is unique for this type of machine. 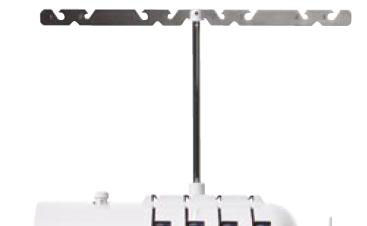 The built in LED Light near the needle allows a brightly lit work area. 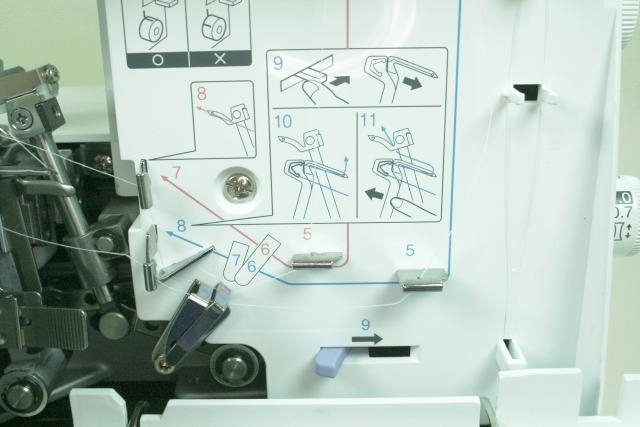 The presser foot lifts, to automatically release the thread tension and remove your garment from the machine without sticking or pulling. If you are looking for a professional finish then the Brother CV3550 is the perfect addition to your sewing room. 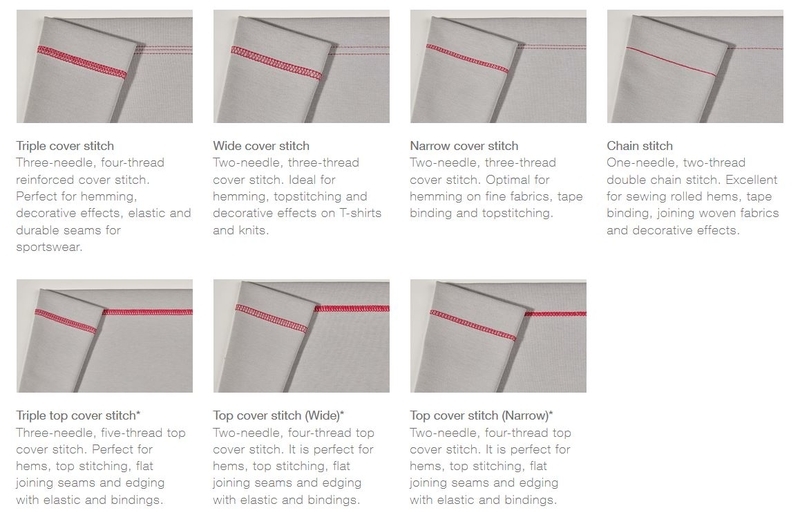 There are also exclusive cover stitches such as the triple top cover stitch which is a 3 needle, 5 thread top cover stitch, the Wide Top cover stitch, Two-needle, four-thread top cover stitch. Narrow Top cover stitch which is a 2 needle, 4 thread top cover stitch. 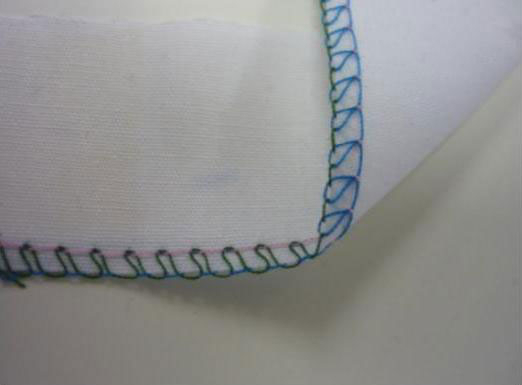 These stitches are perfect for hems, top stitching, flat joining seams and edging with elastic and binding.